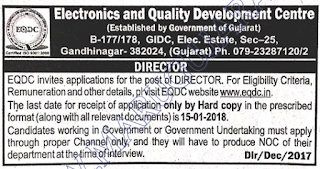 Electronics and Quality Development Center, Gandhinagar has published Advertisement for below mentioned Posts 2017-18. Other details like age limit, educational qualification, selection process, application fee and how to apply are given below. 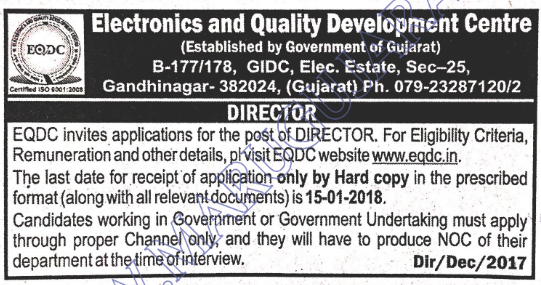 Address to sent Applications: Electronics and Quality Development Center, B - 177/178, , EQDC circle, Electronics Estate, G.I.D.C., Sector-25, Gandhinagar-382 024. Gujarat.